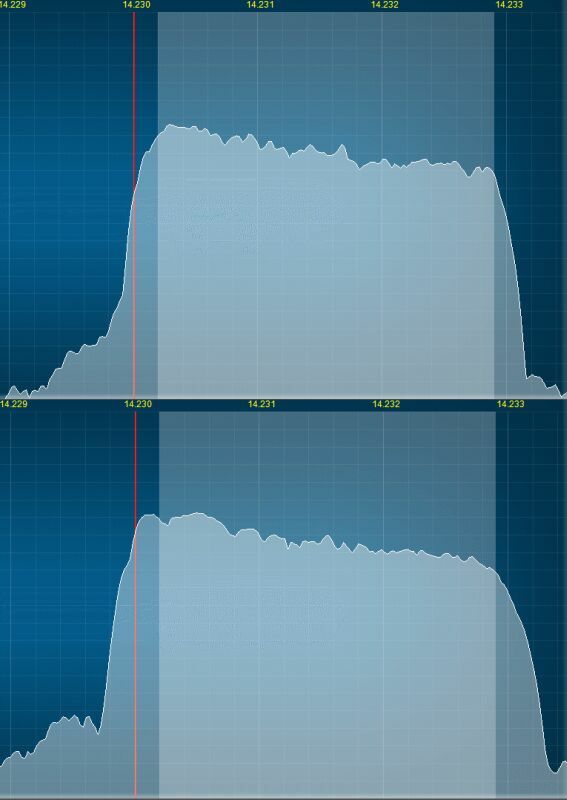 Note that before this release, if you changed the sample rate on the Setup/Audio/Primary tab, it was also advisable to change the DSP buffer size to compensate to provide the same filter "sharpness". That is no longer necessary. These are plots of the ANAN-100D receive passband in cw and ssb for rx buffers = 1024 (red), 2048 (yellow) and 4096 (green). These plots confirm the 1024 buffers recommendation. 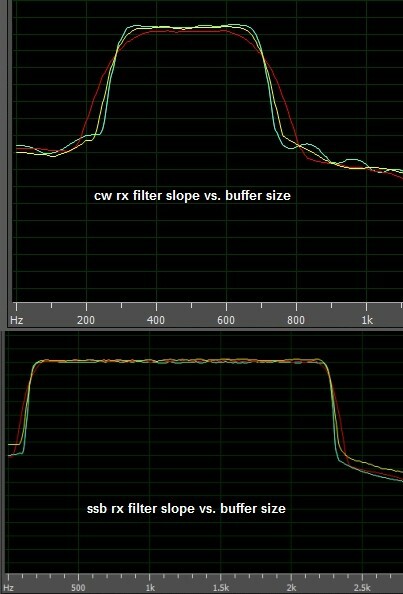 Increasing rx buffers to 2048 in cw will help sharpen the filtering at the cost of slightly increased latency. For comparison purposes, the Ten-Tec Orion is included. 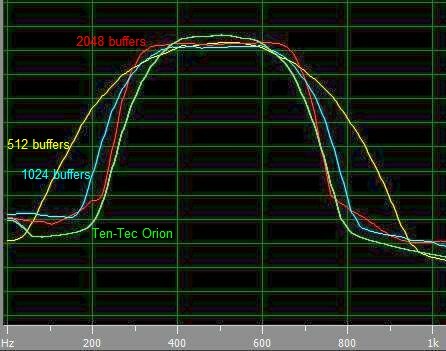 It compares with 1024 buffers. The Elecraft K3 is similar. Again, the recommended value of 2048 tx buffers seems good. 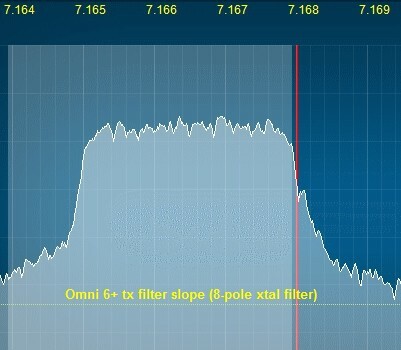 FWIW, the Omni 6+ filtering seems to be equivalent to 2048 buffers.